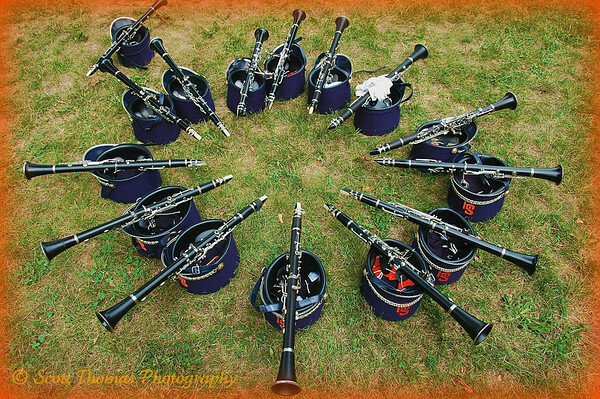 A circle of clarinets of the Syracuse University Marching Band. Before each home football game at Syracuse University, the Marching Band puts on a show on the SU Quad. While the drummers where performing, the clarinetists placed their instruments into a circle. 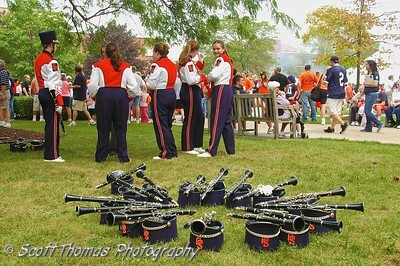 Syracuse University Marching Band Clarinetists wait for their time to perform. A drummer for the Syracuse University Marching Band enjoying performing for the audience. 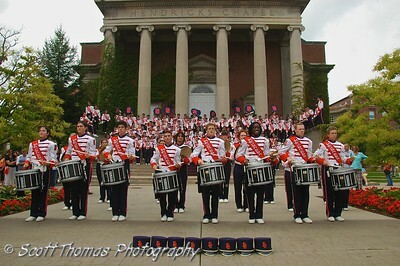 The Syracuse University Marching Band in front of Hendricks Chapel. This entry was posted in People, Weekly View and tagged clarinet, drums, marching band, music, Photography, syracuse university. Bookmark the permalink. 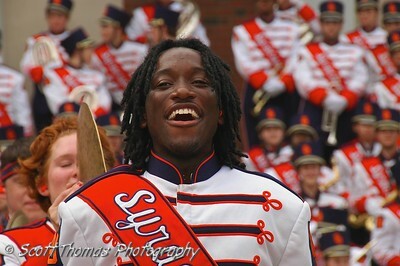 I like that photo of the Syracuse University Marching Band drummer. It’s well framed and shows us just how much he’s enjoying himself. Your color is vibrant! Our of curiosity, what was your F setting? The Exif for the drummer is 1/200s, f/11, ISO 200, -0.3 EV and 200mm focal length using the Nikon 18-200VR lens. He was having a very good time! My favorite is the first one, with all the clarinets in a circle. And yep, that drummer is definitely having fun!